THE Wheelin’ To Wall Full 40 COURSE TAKES YOU THROUGH THE HEART OF THE RUGGED BADLANDS. Cycling the entirety of Hwy 240 is NO WALK IN THE PARK. 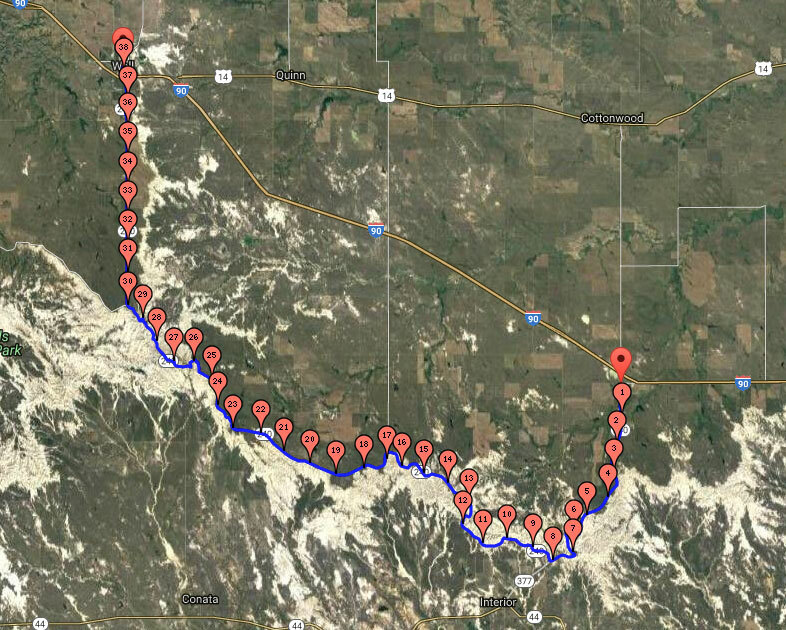 An experienced road cyclist will take 3-4 hours to cruise from Wall down Pinnacles Hill, up Dillion Pass, down Norbeck Pass the up the final ascent up Cedar Pass to end at the Badlands Trading Post near I 90. Take your time as this is an event, not a race! 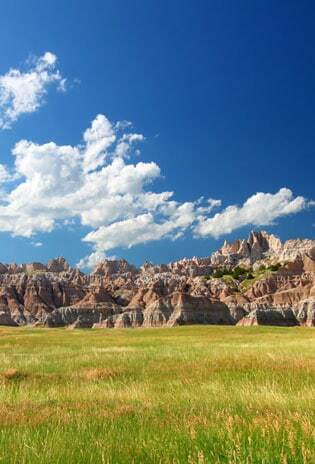 Pause for breath taking views as well as your breath at the many overlooks in Badlands National Park. Three aid stations on the course will refuel your energy and passion for your journey. There are several restroom stops along the way for your comfort. Cell phone service is good to fair throughout the course.